No longer content to eat just cake, couples are including decadent spreads of petite treats. 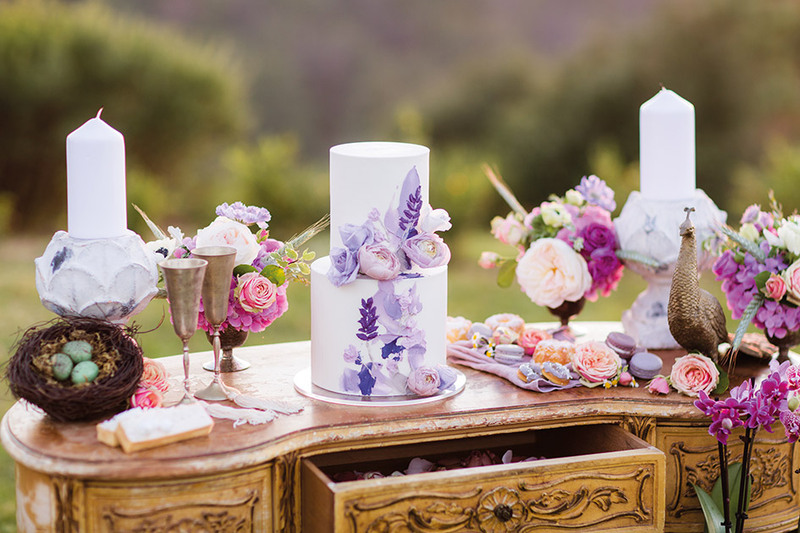 Alyssa Orito of San Diego’s Aly Ann Events gave the dessert table a fresh look inspired by the French countryside and imbued with charm. Orito set the pretty scene at Sacred Mountain Julian, perched on a mountaintop outside San Diego, where a vintage desk serves as the nexus for all things sweet. Pink-hued flowers by Jennifer Cole Florals and candles are nestled amid a delicate display of doughnuts, macarons and a lovely two-tiered cake by Hey There, Cupcake. 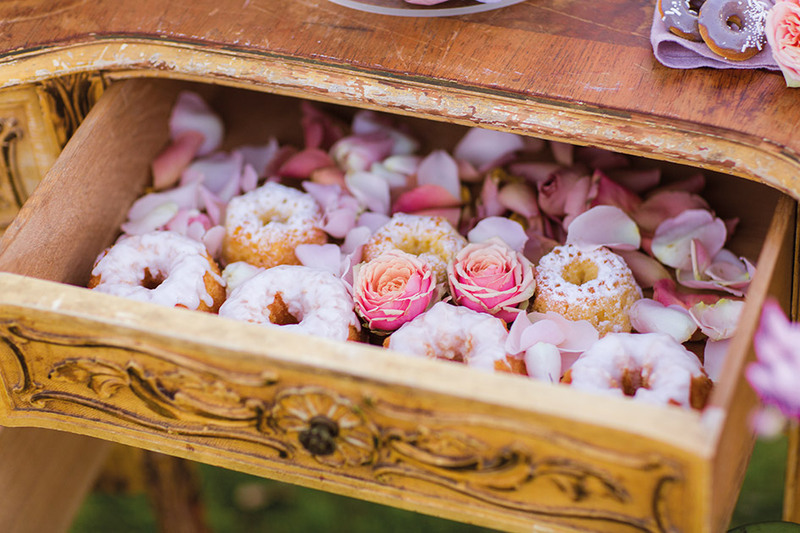 The de rigueur doughnut display is cleverly tucked into an open drawer on a bed of rose petals. 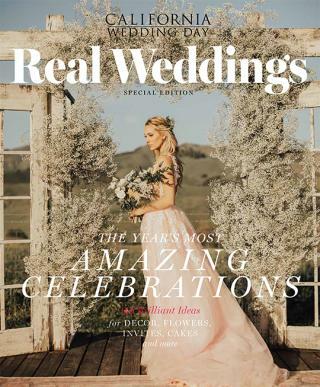 “Dessert tables are a great opportunity for guests to treat themselves to smaller bites while the dance floor is open,” notes Orito. Perfect fuel for dancing the night away.